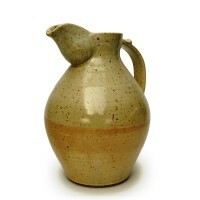 A large thrown stoneware jug with added lip and cream/brown glaze. 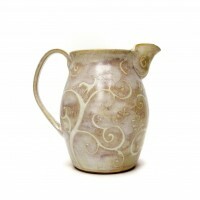 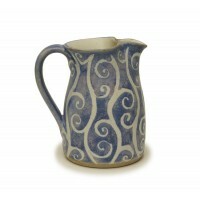 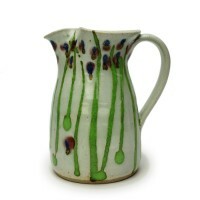 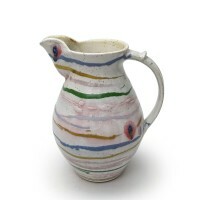 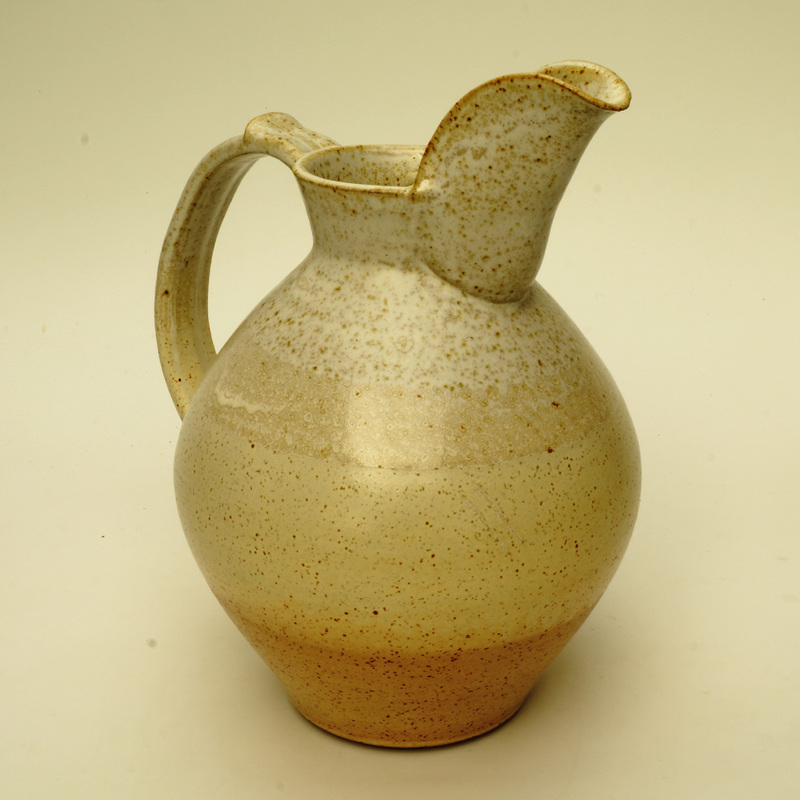 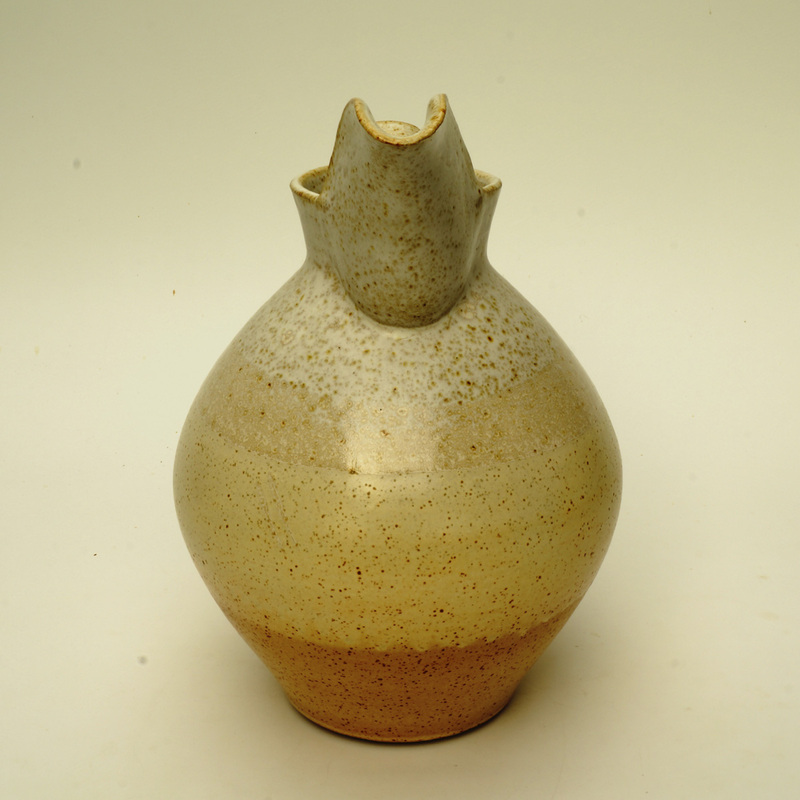 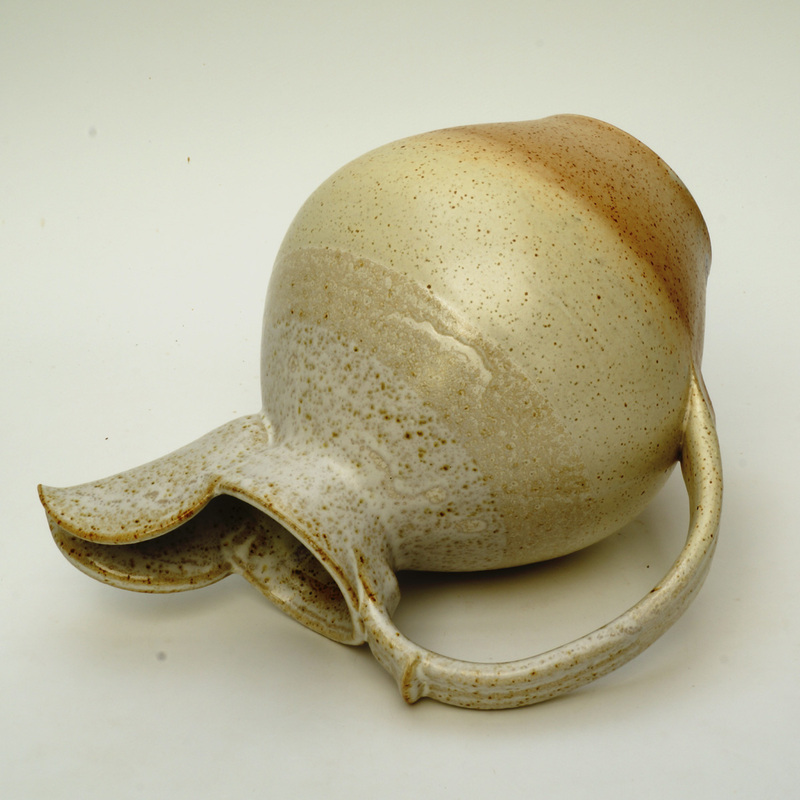 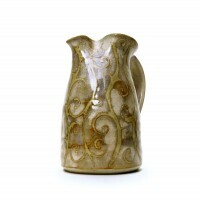 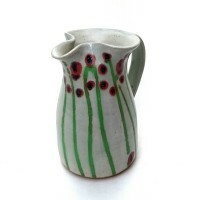 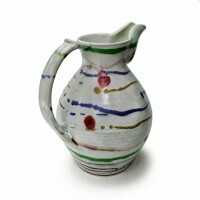 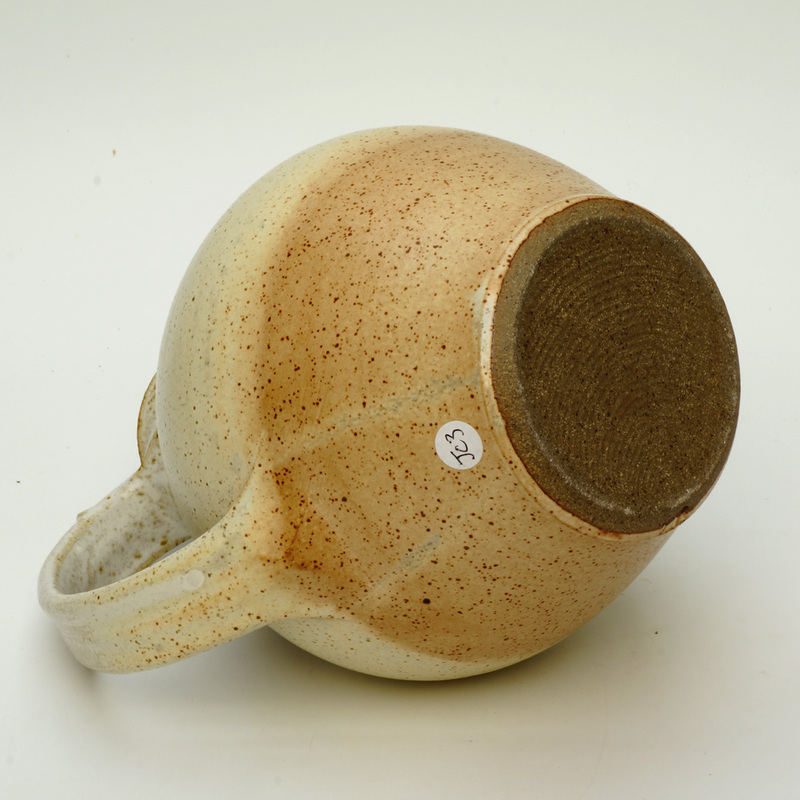 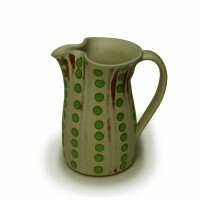 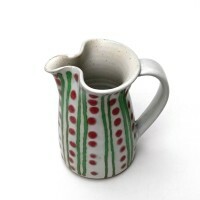 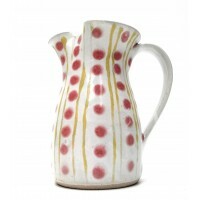 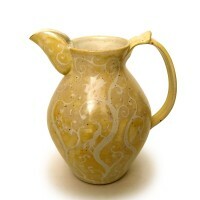 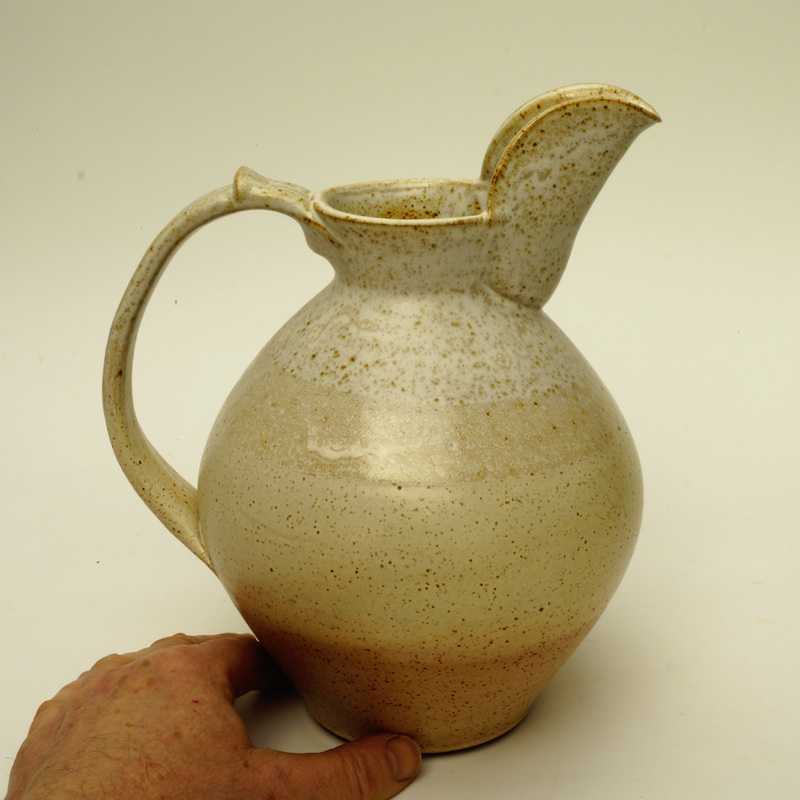 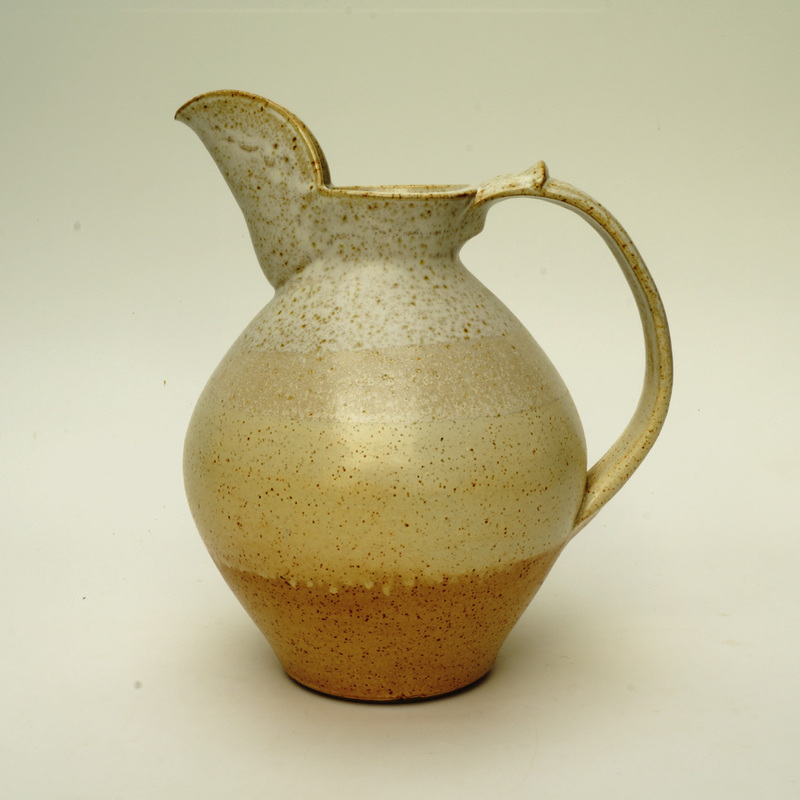 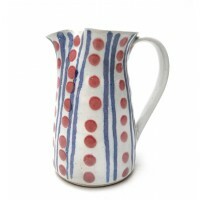 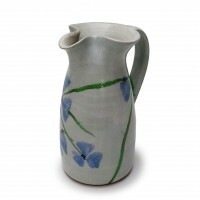 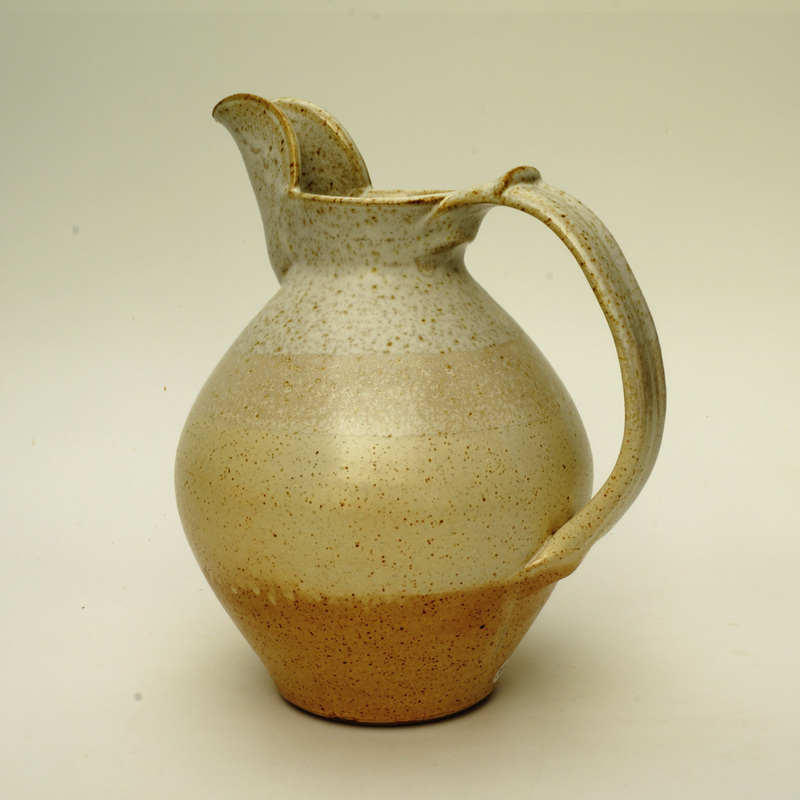 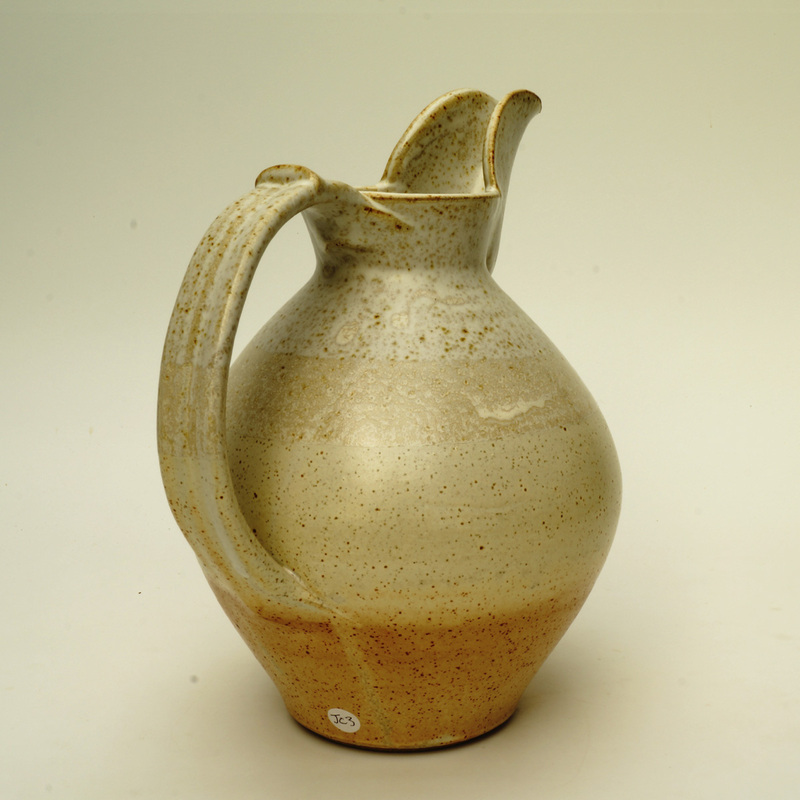 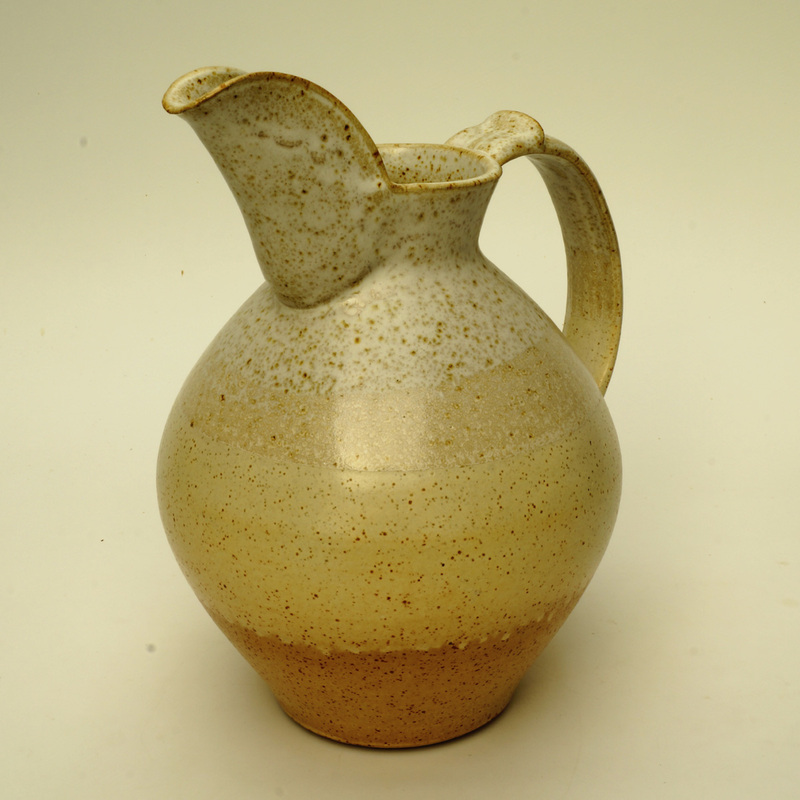 A hand thrown stoneware jug with white glaze inside, warm buff colour outside. 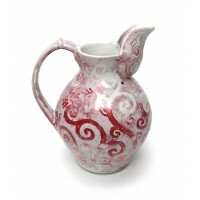 Suitable for serving wine, water or fruit juices. An excellent pitcher for bringing water to the table for large gatherings.